As Mentioned in a previous post , Nellie Hughes was the second wife of George Calhoun Mikell, of Ray City. She was the daughter of John Jasper Hughes and Lucretia “Crecy” Rice. In the fall of 1944, Nellie’s widowed mother was staying with the Mikells at their Ray City home. 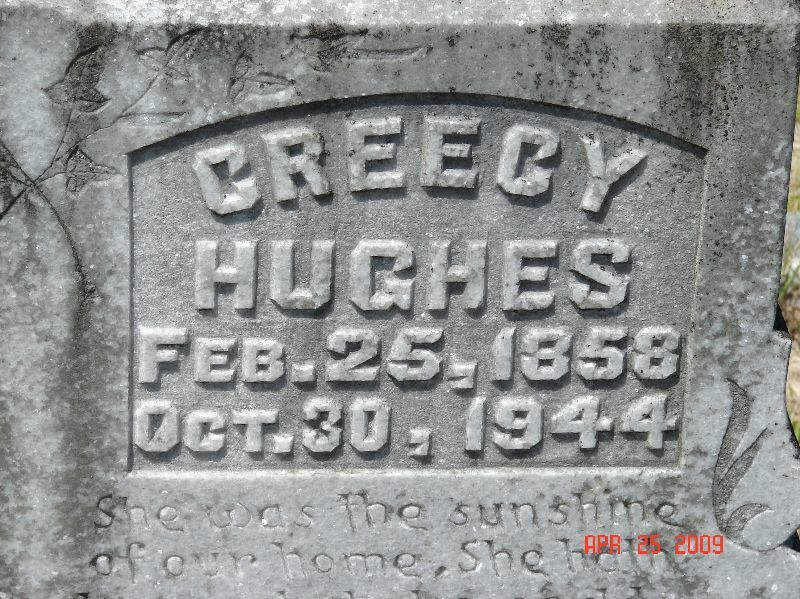 Crecy Rice Hughes had been in poor health for a number of years and on October 30, 1944 she died in Ray City, GA. She was buried at Wayfare Primitive Baptist Church in Echols County, near Howell, GA.
VALDOSTA, Oct. 31. – Mrs. J. J. Hughes, 86 prominent resident of the Howell section in Echols county for 37 years, passed away yesterday afternoon at the home of a daughter, Mrs. G. C. Mikell of Ray City, with home she had been staying a few months. Mrs. Hughes had been in ill health for a number of years. Her husband, who was a well-known farmer of that community, died some years ago. Mrs. Hughes was an active and devout member of the Unity Primitive Baptist church, a woman of sympathetic and gentle disposition, held in the affection and esteem of all who knew her. She leaves four daughters, Mrs. Mikell, Mrs. W. L. Howell of Melbourne, Fla., Mrs. Lizzie Daugharty of Howell and Mrs. Beatrice Wortham of Jacksonville; five sons, D. E. Hughes of Valdosta, W. M. of Lakeland, Ga., T.J. of Arcadia, Fla., Art of Naylor, E. L. of Jacksonville, and a brother-in-law, Mr. M. H. Hughes, of Dupont, Ga.
Mrs. Hughes’ body was carried to her family residence at Howell this afternoon, where it will remain until 11 o’clock tomorrow morning when services will be conducted at the Wayfare church, near Howell, by Elder M. M. Fiveash of the Primitive Baptist church. Interment will be in the Wayfare church cemetery under the direction of the Carson McLane Funeral Home.